setting the scene for the perfect romantic date night. more. 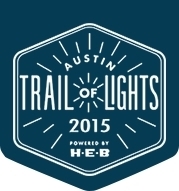 See the full list of the Trail of Lights’ 2015 sponsors at www.AustinTrailofLights.org/sponsorship/2015-sponsors. beloved music icon, Jimmie Vaughan. Run will be held at Zilker Park and is now open for registration. healthy and fun way to celebrate the holiday season. youth and family groups, it also seeks to engage seniors and veterans. “We are thrilled to celebrate our community in Austin,” said Robert F.
of Lights kicks off 15 nights of celebration. filled with lights, entertainment and food truck favorites. keep the Trail of Lights bright for years to come, visit www.AustinTrailofLights.org. Twitter feed or like the Trail of Lights Facebook page at facebook.com/AustinTrailofLights. graphics are available upon request.